Salem Medical Center offers a full range of imaging services to provide patients with diagnostic and therapeutic services. Our imaging and radiology services teams work with doctors, nurses and other clinicians to deliver comprehensive care. Our digital imaging technology allows doctors to access test results immediately, so treatment can begin more quickly. The medical imaging department at Salem Medical Center is accredited by The Joint Commission and is licensed by the American College of Radiology for Mammography and MRI. Our trained imaging technologists are certified with advanced registries and are focused on patient safety and comfort. Mammography is an X-ray exam of the breasts used to screen for or diagnose breast cancer. Salem Medical Center offers digital imaging technology for mammograms. 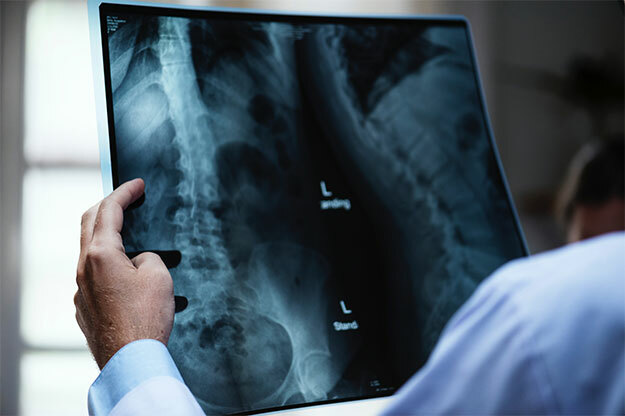 With digital technology, radiologists can zoom in on particular areas or change brightness or contrast for even greater visibility, and results can be read immediately. To supplement this technology, Salem Medical Center has incorporated computer-aided detection (CAD), which highlights characteristics in the images that are commonly associated with breast cancer. It can be thought of as a second set of eyes to support and enhance the radiologist’s judgment. MRI can be used to assess everything from ruptured discs in the spine to detecting brain tumors and vascular diseases. Salem Medical Center’s imaging department features a high-definition 1.5 T scanner. In addition to standard MRI procedures, it is also used for breast MRIs with a computer-aided detection (CAD) system. Nuclear medicine is a specialized area of radiology that uses very small amounts of radioactive materials (given either orally or intravenously) to examine an organ’s structure and metabolic function. Nuclear medicine technologists utilize advanced technology that delivers results quickly so doctors can begin treatment as soon as possible. We offer a wide range of diagnostic imaging services.In addition to routine imaging, nuclear medicine at Salem Medical Center is also used to study the sentinel lymph nodes and provide physiological imaging. PET (positron emission tomography) scans provide specific information about organ and cell functioning by distinguishing among healthy, diseased and dead tissue; CT scans provide a detailed picture of the body’s internal anatomy. Salem Medical Center’s PET/CT scanning technology combines the physiological information from a PET scan and the anatomical information from a CT scan to provide a comprehensive image of the body in a single scan. Through an alliance with Jefferson Outpatient Imaging, we are able to provide PET/CT scans as a part of our wide range of imaging studies. PET/CT scans are available one day a week at the hospital.